We have an extensive range of on the water activities throughout the year. Some are regular events and others happen annually. From our very active Junior / Cadet section, Wednesday Club Racing, Sunday Championships open sailing, inter-club racing, adult training evenings, a wide range of training opportunities, extensive racing programme and our Cruiser group, we are sure you will find something to help get you on the water. A full programme of competitive club racing is available from the end of March to the end of December. Starting usually from our Committee Boat "Sean Whiston" to either laid or fixed marks in Dublin Bay, there is a very active fleet of privately owned cruiser racers within the club and we provide racing for keelboats and dinghies in ECHO handicap series. 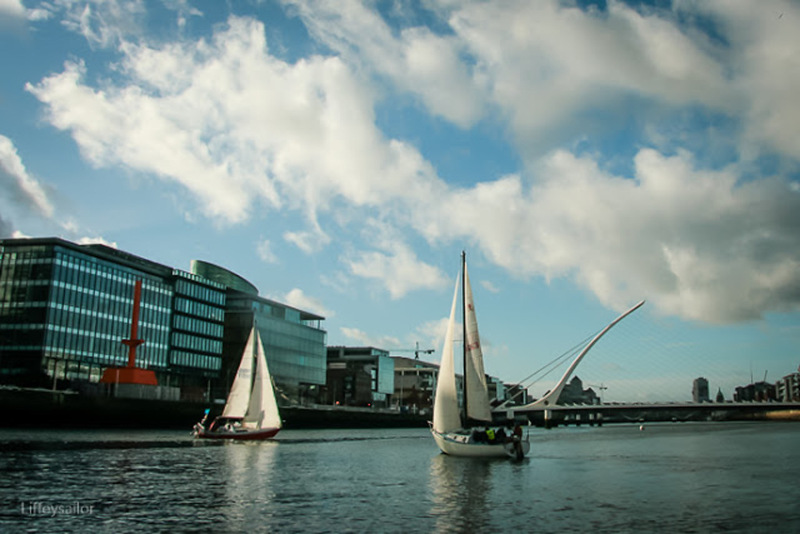 We also run a number of open events during the year including our Regatta in conjunction with Dublin Ports Riverfest. The club runs 6 Championship Races that operate between May to September, for dates and times please see the calendar on the home page. The sessions are open to all sailors and for club members to get on the water either in their own boats or by hiring club boats. We provide the RIB cover, you just enjoy the sailing! The Cruising section acts as a good and gentle introduction to the Club. Outside of the season we organise "Cruising Corner" meetings to give people to the opportunity to swop ideas and experience in maintaining and running a cruising boat. During the season we promote "White Sail" racing as part of the Club's Wednesday and Sunday racing series. White Sail racers do not use technical sails such as Spinnakers but take a gentler approach, a good place to start. The Club supports the Cruising Association of Ireland (CAI) calendar of cruises as well as cruises that support our championship races. CHECK OUT OUR CALENDAR FOR ALL EVENTS!